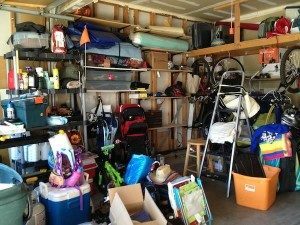 There are several important property clean out service advantages people should know when it’s time. After all, you want to minimize the workload, spend as little as possible and strike a balance to make it go as smoothly as possible. But, that’s not always the case. If you’re wondering about the difference between hiring a property clean out service and dumpster rental, this information is for you. People think that by renting a dumpster for their property clean outs, they’re going with the best option. But, often this just isn’t the case. For instance, let’s begin with size. Now, that’s important because you need to fit all that junk inside the container. Which means, if you order the wrong size, it will cost you more money. If it’s too small, you’ll need to rent it again. Or, if it’s too large, you’ve paid for wasted space. Then, there’s the matter of the work itself — which is entirely up to you. It’s you who must fill the container. And, you can’t put anything and everything in a rented dumpster. That’s because these companies prohibit a whole lot of items. Last but not least, a dumpster can easily be a serious obstacle for parking and more. Avoid heavy lifting. The property clean out crew will handle all the work. That means you don’t have to break your back to get rid of all that unwanted junk. Let a team do it quickly so you don’t have to fool with it at all. No need to sort stuff. A property clean out service will do all the sorting for recycling and other needs for you. Otherwise, you’re left to figure it out and do it on your own and that will take some serious time and effort. Get the price upfront. Another benefit is getting an upfront price quote. You’ll know about how much you’ll spend and can make adjustments, accordingly, if needed. Don’t sweat the inconveniences. A dumpster is a big thing. And, it can block your driveway. Or, it might also not be so welcome on your block for long. Furthermore, it’s not going anywhere until the company comes to pick it up. If you need a property clean out, go ahead and phone 800-433-1094 or visit Junk Garbage Removal.